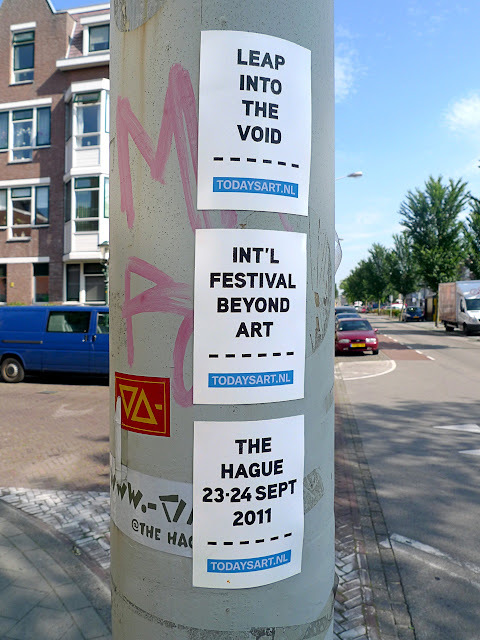 For those of you not following us on Twitter, there have been quite a lot more announcements for the Todays Art festival, which is happening in The Hague, 23-24 September 2011. In assisting with the musical programming across the two nights, we tried to adopt a similar ethos to the one we have for selecting our mixes: gather a cross selection of more established names that we love, as well as other artists that might not have the same level of recognition but we really believe are talented. I think we've managed to find a good balance of sounds and styles... In addition to the names already mentioned in the first post, we have a couple more 'core' MNML SSGS artists playing. Ancient Methods may end up destroying the place with their distinctive and destructive brand of war funk, and Peter van Hoesen will be coming straight from Labyrinth to provide further evidence that he is currently one of the best operators in techno music. Nuel, Dozzy's Aquaplano partner, will be also spinning. He has an LP due on Further around the same time as the festival, and for me this is definitely one of the best albums I have heard in 2011. Another ssg favourite on the decks is the lovely Eli Verveine, who will be bringing her unique brand of warm, personal house. We are also excited that Raime will be playing live. Their EPs on Blackest Ever Black were two of our favourite releases of 2010, and we've been hearing excellent reports about their live show. All in all, we think TodaysArt has managed to assemble a diverse and interesting set of artists. Unfortunately PC can't make it, but I've booked my flight and will be coming from Japan for this. Hope to see some ssgs there. Very excited. would love to come here, but a bit too expensive for me :/ and same weekend theres a festival in poland which is only 240km drive from where i live.. mosse, silent servant, hood, aux 88.. but hope you guys will have a lot of fun too! The line-up is quite simply the best I've seen for a techno festival in Europe. It has many artists that I'm dying to see, but are never booked in France where I live, so I'll definitely be there. I hadn't gathered that you participated in the musical programming, congrats about that ! The line up is awesome. Very tempted! One quick Q - How does the festival work logistically in terms of venue(s)? Is it possible to see all the artists play or are they spread across multiple venues playing simultaneously? Also what are the venue(s)? Some club(s) in The Hague or an outdoor area or? Last year there were artist across a number of venues (3 or 4), all located in the city centre of the Hague. Luckily, the Hague has a very small centre, so everything is within walking distance. Tickets in the bag, this should be awesome. Great that you managed to bring Ancient Methods over, really looking forward to seeing them! Last year's set by Alva Noto was the most mindblowing, futuristic machine funk that I have ever witnessed. Yep. Most of the venues last year were within 10-15 minutes walking distance. The only significant clash choice we had to make was between Unit Moebius and NWAQ/Morphosis on the last night. I missed Alva Noto but they were in same venue as the small crowd of over-30 numpties roaring our heads off to Shake rocking two copies of Sensuous Woman goes Disco. Make sure you get to the Belgian bar venue- very small but great beer, friendly staff & crowd and very very entertaining vibe. This was a great weekend. The Hague is a lovely city, the festival is nicely proportioned with a good mix of serious/thoughtful and fun/hilarous programming.